When Smoking Ribs... To Wrap? or Not To Wrap? When Smoking Ribs… To Wrap? or Not To Wrap? QOTD (Question of the Day) over in the ILGM VIP private Facebook group: When smoking ribs… do you wrap your ribs or not? 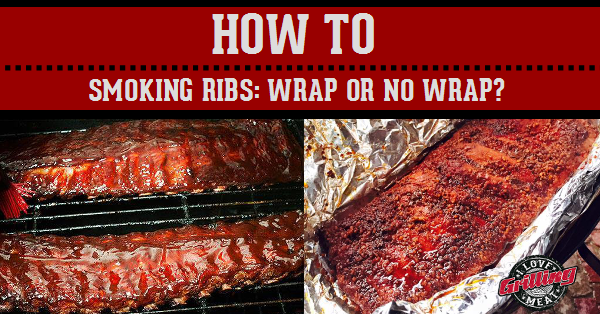 If you’re unfamiliar with wrapping ribs a.k.a. the Texas Crutch, read this article to learn more. In this article you’ll read through a high level conversation between 15 seasoned rib smoking Pitmasters as they chime in with their tips, techniques, and preferences for smoking their ribs right. Notice that last line, “smoking their ribs right”, as the more we speak with various Pitmasters, the more we realize that there really is no single right way to do this, but rather many different ways that produce results based on individual preference, each of which we can all serve to learn from as we pay attention reading through this entire article. Also some great questions asked within this conversation that may help with your next rib cook. Smoking Ribs… To Wrap? or Not to Wrap? Donald J. Fox: I’ve use the 3-2-1 method. That has turned out the best for me. When I do them quick they are a little tough. Still good but not fall off the bone. Danny Mcturnan: I wrap mine for the first 3 hours, then smoke for 2 1/2 hours, then sauce and smoke for 30 more mins. Gary Johnson: I do this: rub, wrap and fridge overnight, in the smoker for ~3hrs, then on a rack in my big BBQ pit crockpot with various liquids underneath and sauce on the slabs until its falling off the bone. That’s how we like em here. David Burt: I season with coarse salt, Mojave garlic pepper, and a rub then wrap and refrigerate overnight. I then put on pit at about 225F for about 3.5 hours. I take them off sprinkle with light brown sugar and about 5-6 pallets of butter then wrap and put back on pit for about 2.5 hours they come out pretty dang good. Darrell Williams: I season my ribs wrap them over night or for 4 to 6 hours, smoke them for 3 to 4 hours, wrap them and cook them another hour or so. Tony McHale: I use the 3-2-1 method, and for the last hour I mop with BBQ sauce every 15 mins. James Vredenburg: I do wrap. Usually at 3 hours or once the temperature of the meat is at 160. This helps me get the color I want. When I wrap I will use squeeze butter on the meat side with some honey and lightly sprinkle brown sugar and some rub. Add some apple juice and wrap. This helps to keep them moist also. 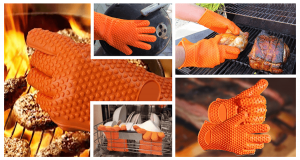 Use these heat resistant BBQ gloves for handling your racks! Click here to get them FREE (just cover S&H) for a limited time! Buddy Christian: I wrap mine sometimes but for the most mine is just low and slow and I don’t add sauce only a spray of Apple juice mixture. Torben Begines: I always smoke very low the first 3 hours and mist with juice (apple or pineapple) then I wrap tightly after I pour a generous amount of juice in. Sometimes I will drizzle some honey on as well mostly for a glazing i think the juice helps the brown sugar penetrate the meat and softens it up, just like giving chocolate and flowers to your lover on valentine’s day, just makes em melt. The foil keeps the action centralized. Without the foil you can get a nicer ring but I think to dry for my taste no matter how slow and low I go. Donny Collins: I do wrap.. and as I have marinated overnight like some of the others, I usually don’t have room in the refrigerator. So generally I rub them down with a little mustard then my homemade rub, and onto the Rock (smoker) it goes… then you can smell what the Rock is cookin in bout an hour. Then I baste or spritz them with a mixture of apple juice and squeeze butter, or some other fruit juice and squeeze butter. I do this every hour. Then I place the rib, meat side down on plastic wrap on a bed of brown sugar, squeeze butter, honey, more rub, and sometimes some sweet Thai chili sauce, and do the same on the bottom side of the rib. After the wrap in plastic wrap they get wrapped in foil and back to the Rock. So… yes I wrap. I have also done them without a wrap, but for me I prefer it. There are a lot of great suggestions and techniques on this post and from this group of pitmasters that I will also try because you can never stop perfecting your craft. Bottom line… almost always I wrap. Smoke and grill on my friends! Leroy Bee: I have done mine wrapped and unwrapped . I like the outcome with the unwrapped more I think it’s because I do my rub but after an hour of smoking I do a vinegar and Dijon mustard mop sauce that seems to keep them real moist and helps with the tenderness. I did do a rack using a raspberry glaze sauce and found wrapping them was better they were real tender and tasty. You do get a better smoke ring and smoke flavor with your unwrapped ribs but like it was mentioned earlier it’s totally up to you and your taste how you will do them. Chris Gadue: Now when wrapping them would you increase heat or move closer to heat source? Tony McHale: I never change the placement, or the temp. Dennis Harper: I wrap after 3 hours or so like many here BUT man I love the input and information from this page and I will try many of the things mentioned. Donny Collins: I personally go 225 throughout the cook and don’t change the placement. Like some others, I have finished them over direct heat for the last 30 minutes, but finishing at the same heat and same placement on the smoker yields a fine rack of ribs so I generally just stay with that. Chris Gadue: Now another question: would anyone smoke different meats at the same time, i.e. pork and beef and yes taken into the fact that they would finish at different internal temps and times would also be different but would it effect the food. Tony McHale: I do it all the time, no change in the taste. I usually make ribs when I do a brisket. Leroy Bee: I have done it all together it doesn’t affect anything you just have more to monitor for internal temps. Donny Collins: Yes, I do other meats at the same time too. Of course if you’re gonna wrap they should be wrapped at their appropriate times and internal temps, and started sooner if they take longer, if you need them to finish at the same time that is. Allan D Woodworth: I’ve found wrapping has help tenderness and gives me a chance for additional flavor while holding back on the smoke so as not to over do it. Derrick Blackwell Sr: There are times where as I wrap my ribs and there are times where I do not wrap them. To me, it all depends on my mood when I am cooking for the family and I. For customers, I explain the difference and all that wrapping involves and let them know that wrapping costs a little more than unwrapped. That being said, most customers prefer unwrapped. I usually prepare my ribs (beef and pork alike) by washing them down in a basin of kosher salt and cold water (kind of brine solution). Then I season them according to my taste as well. Usually a mixture of garlic, onion, celery seed, cinnamon, cumin, nutmeg, and brown sugar. After thoroughly mixing the ingredients, I rub the ribs and then refrigerate them for 24-48 hours. Upon cooking, I get the pit up to between 225-250 with either lump and cherry wood or lump and Apple wood. If I wrap, I will go 3 hours unwrapped and then 2 hours wrapped. For the last hour, I let it go for half hour then bast it with honey and molasses, let that go for 15 minutes with the lid closed and 15 minutes with the lid open. I let it sit off of heat for 30 minutes before cutting. When I do not wrap them, I let them go at the same temperature for about 4-6 hours and spritz with a 1:1 solution of cider vinegar and Apple juice. When finished, I let them sit for 30 minutes before cutting. In regards to Smokin/Grillin different meats (ie..Pork, Beef, Chicken), I Smoke and/or Grill different meat types almost every time that I fire up. Once again, it all depends on my consumption crowd and timing. There are no changes in heat or the amount of wood utilized. The only difference is the time at which the meats are placed on the pit. The brisket (if being cooked) and beef ribs (if being cooked) are always the first to go on. However, the brisket always goes on first. Then my pork followed by chicken and vegetables. There you have it my fellow Pitmaster. To wrap or not to wrap, that is the question. As you’ve seen above, everyone has their individual preferences, and hopefully this article will help you with some ideas to determine your style of smoking ribs and whether your wrap the or not. Special thanks to these fine gentlemen for sharing their expertise with us here: Donald J. Fox ,Danny Mcturnan ,Gary Johnson, David Burt, Darrell Williams, Tony McHale, James Vredenburg, Buddy Christian, Torben Begines, Donny Collins, Leroy Bee, Chris Gadue, Dennis Harper, Allan D Woodworth, Derrick Blackwell Sr. We sincerely appreciate you guys. If you feel like showing these Pitmasters some love and appreciation for sharing their rib smoking wisdom, please feel free to share this article with friends on Facebook, Pinterest, and anywhere else you feel will help people make better ribs. Do you wrap your ribs, or not? Let us know in the comments below and if you really want to help other Pitmasters, include your WHY you do or do not wrap, so that other readers can understand and learn more from your experience. We appreciate you. photo cred: Felix Threatt (ribs in foil), Jim Mullen (ribs on grill), thanks boys for the awesome pics! 5 Basic Tips For Smoking Meat Tip #1: The most important tip I can give you is to have patience and never hurry your cook because low and slow with a smoker is key to creating your masterpiece. We are a Secret community of grilling, meat smoking, barbecuing pitmasters from all across the nation. Join us! 29 Responses to When Smoking Ribs… To Wrap? or Not To Wrap? I have a question for the group. I use a big chief smoker. It doesn’t have a temp. control. And I am told it runs normally at about 160 deg. So should I smoke them for 3 hr. Then finish them off wrapped in foil on my grill? For how long at 300 deg. do you think it would take? I love 3-2-1. I brine my ribs overnight at a minimum in apple juice with kosher salt. I preheat my smoker with hickory chips to 225, then smoke 3 hours. Take the ribs off, wrap with apple juice and 2 more hours in the smoker. last hour unwrapped and mop with sauce every 15 minutes. My family loves them! What temp. did you run your smoker?? Most of the guys in this discussion stated the kept their cooker between 225-250F. When doing Baby backs I smoke for 1.5 to 2hours at 300. Then wrap, then pour what is left of my mop sauce in the wrap. Baby backs 3 hrs cook time max, spares 5, whole pork shoulder 7hrs and brisket flat 7 to 8. All of them wraspped. Nicely done Gregory! 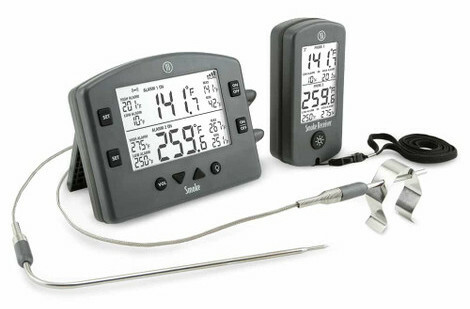 Looks like you’re perfecting your methods at higher heat which gets you a faster cook, well played Pitmaster! Falling off the bone is considered over cooked where I’m from. When you bite into a rib, the only part that should come off is what you bite and it should come off easily but definitely not fall off the bone. I put my rub on and smoke it with oak wood for 3 1/2 hours. Then I put some barbecue sauce and maple syrup and smoke it for another 1 hour. I keep the temperature at a steady 200 degrees. The meat doesn’t fall off the bone but it is very tender. Comes out spicy and sweet. I like a coffee rub blend somtimes I got ideas i like trying new ways alot surprise ppl. 2-2-1 method in a verticle, Gravity feed smoker. First remove the membrane, then a personal rub, then into smoker with hickory for 2 hrs and then wrap till tender then unwrap and sometimes sauce the last 40 minutes, sometimes not. People I cook for usually prefer ribs that fall off the bone but in competitions judges prefer ribs that are tender but don’t fall off the bone.